Born 19 Sep 1947; died 26 Apr 2002 at age 54. Born 19 Sep 1915; died 18 Aug 1980 at age 64. Born 19 Sep 1888; died 23 Sep 1971 at age 83. Born 19 Sep 1878; died 25 Apr 1958 at age 79. Born 19 Sep 1871; died 22 Jun 1906 at age 34. Born 19 Sep 1853; died 6 Aug 1911 at age 57. Born 19 Sep 1839; died 1922. English businessman, Quaker, social reformer and chocolate manufacturer, born in Birmingham. In 1856, at age 21, he joined his father's chocolate business, with his elder brother, Richard, who had joined in 1850. Their father retired in April 1861 due to failing health, and they took over his declining enterprise and built it into the highly prosperous Cadbury Brothers cocoa- and chocolate- manufacturing firm. George was perhaps more important for his improvements in working conditions and for his successful experiments with a new cocoa bean processing technique. The new pure unadulterated Cadbury's cocoa essence was heralded as a major breakthrough and it resulted in the passing of the Adulteration of Foods Acts in 1872 and 1875. Died 19 Sep 1995 at age 88 (born 16 Jul 1907). American agronomist and popcorn business founder, born in Brazil, Ind., Popcorn King whose devotion to creating and promoting a fluffier, tastier popcorn turned him into a bow-tied advertising icon. His interest in popcorn blossomed early. It was the favorite snack on his family's farm, and Redenbacher grew it to earn extra spending money. In the early '40s, while managing a 12,000-acre farm where he was growing popcorn, Redenbacher and a friend, Charles Bowman, used the fields to experiment with corn hybrids from Purdue University. Several decades and 30,000 hybrids later, they introduced gourmet popcorn. Died 19 Sep 1971 at age 80 (born 24 May 1891). Earth's Most Challenging Mysteries, by Reginald Daly. - book suggestion. Died 19 Sep 1940 at age 66 (born 24 Dec 1873). C(harles) G(abriel) Seligman was a pioneer in British anthropology who conducted significant field research in Melanesia, Ceylon (now Sri Lanka), and, most importantly, the Nilotic Sudan. After his education as a physician he went with the Cambridge Anthropological Expedition to the Torres Straits (1898-9). Subsequently, his interests turned from medical research towards anthropology, and revisited New Guinea (1904) to distinguish the characteristic racial, cultural, and social traits of the peoples of the region. In the 1920's, he pioneered a psychoanalytic approach: studying cross-cultural similarity of dreams. He concluded that the psychology of the unconscious could provide an approach to some basic anthropological problems. The heart of Africa: Three years' travels and adventures..., by Georg August Schweinfurth. - book suggestion. Died 19 Sep 1913 at age 72 (born 1 Nov 1840). Italian naturalist and explorer who conducted important research in systematic zoology. Pursuing his work, he made expeditions to Persia (1862), Borneo (1865-66) and Tunisia (1879). In 1867, he founded the civic museum of natural history in Genoa. The collection he donated became the nucleus of the museum, which he directed for more than 40 years. He was also director of Societa Geografica Italiana (1891-1900). The museum he founded now contains important zoolological, paleontological, botanical, and mineralogical collections from all over the world. These collections are continually growing, now estimated to be more than 3.5 million exhibits. 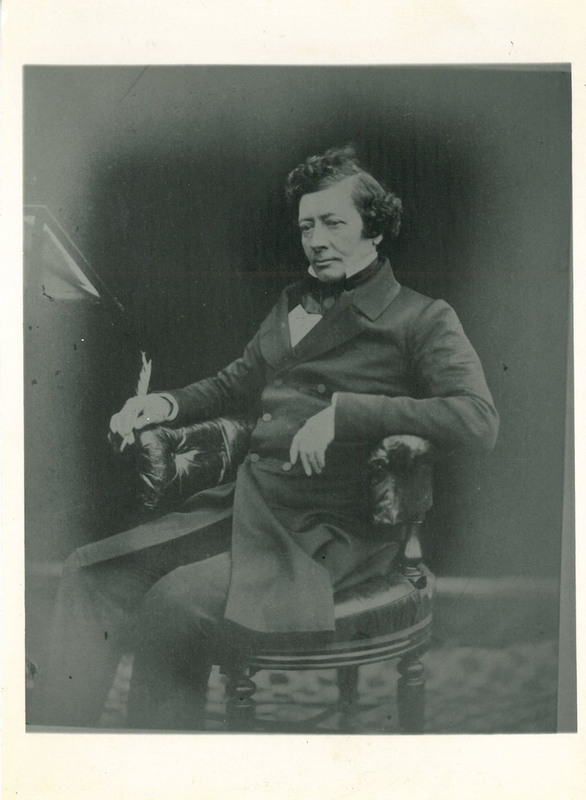 Scottish astronomer and author who, after a few years early in his career as a teacher and headmaster, was appointed in 1836 as Regius Professor of Practical Astronomy at the University of Glasgow, where he spent the rest of his life. While in this position, he also became a popular public lecturer on astronomy and wrote a number of books on science. His fund-raising efforts paid for a new observatory at Horeslethill (1841), which was acquired by the University in 1845. While giving lectures in Natural Philosophy during the two-year absence during the illness of a colleague, it is said he inspired William Thomson as a young student who later became the famed Lord Kelvin. Nichols' last complete work was a Dictionary of the Physical Sciences. Died 19 Sep 1852 at age 49 (born 12 May 1803). Died 19 Sep 1843 at age 51 (born 21 May 1792). French engineer and mathematician who first described the Coriolis force, an effect of motion on a rotating body, of paramount importance to meteorology, ballistics, and oceanography. Whereas pressure differences tend to push winds in straight paths, winds follow curved paths across the Earth. In 1835, Coriolis first gave a mathematical description of the effect, giving his name to the Coriolis force. While air begins flowing from high to low pressure, the Earth rotates under it, thus making the wind appear to follow a curved path. In the Northern Hemisphere, the wind turns to the right of its direction of motion. In the Southern Hemisphere, it turns to the left. The Coriolis force is zero at the equator. Died 19 Sep 1818 at age 57 (born 21 Sep 1760). Dutch physicist and mathematician who invented the Leyden jar, the first effective device for storing static electricity. He grew up in a family that manufactured scientific instruments such as telescopes, microscopes and air pumps. Before Musschenbroek's invention, static electricity had been produced by Guericke using a sulphur ball, with minor effects. In Jan 1746, Musschenbroek placed water in a metal container suspended on silk cords, and led a brass wire through a cork into the water. He built up a charge in the water. When an unwary assistant touched the metal container and the brass wire, the discharge from this apparatus delivered a substantial shock of static electricity. The Leyden name is linked to the discovery having being made at the University of Leiden. Died 19 Sep 1710 at age 65 (born 25 Sep 1644). In 1991, Ötzi, the Iceman, a Stone Age wanderer and the most ancient human being ever found, was discovered in the Similaun glacier in the Ötzal Alps on the Italian-Austrian border. His frozen body was found along with artifacts of his vanished way of life. An examination of his gut contents showed the man took his last meal not long before setting out on a hike from which he was never to return. The meal was a simple affair, consisting of a bit of unleavened bread made of einkorn wheat, one of the few domesticated grains used in the Iceman's part of the world at this time, some other plant, possibly an herb or other green, and meat. An Austrian reporter named him Ötzi. In 1988, Israel launched its first satellite, Offeq-1 (Horizon 1) onboard a Shavit rocket from the Negev Desert over the Mediterranean, becoming the ninth country in space. As an experimental satellite it was possibly on an experimental surveillance mission. Its announced functions included: Experimentation in generation of solar power; experimentation in transmission reception from space; verification of system's ability to withstand vacuum and weightless conditions; plus data collection on space environment conditions and Earth's magnetic field. In 1982, streetcars stopped running on Market St. in San Francisco after 122 years of service. In 1957, the United States conducted its first underground nuclear test, in the Nevada desert, at Area 12 of the Nevada Test Site. The Atomic Energy Commission's (AEC) first fully contained underground nuclear detonation named the Rainier event, detonated in a horizontal tunnel, about 47 meters (1600 feet) into the mesa and 274 meters (900 feet) beneath the top of the mesa. In 1876, American inventor Melville (Reuben) Bissell (1843-89) received a U.S. patent for the carpet sweeper (No. 182,346). At his a crockery shop in Grand Rapids, Mich., his wife Anna's health was affected by dust from the packing materials. From a desperate need for self-preservation, he invented the carpet sweeper. They recognized the sweeper's marketing possibilities and began to assemble them in a room over the store. The inner workings and cases were made by women working in their homes. Tufts of hog bristles were bound with string, dipped in hot pitch, inserted in brush rollers and finally trimmed them with scissors. Anna Bissell gathered the parts together in clothes baskets and brought them back to the store for assembling. In 1848, Hyperion, the eighth moon of Saturn, was discovered in the U.S. by William Cranch Bond and his son George Phillips Bond and in England by William Lassell. In 1838, Ephraim Morris patented the railroad brake.